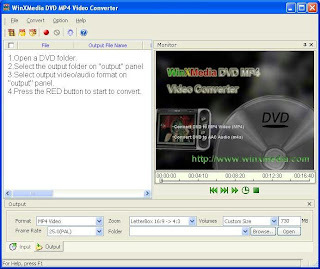 WinX-Media DVD MP4 Video Converter is a powerful and easy to use DVD to MP4 video AAC audio converter. It can produce high quality MP4 video (with AAC audio) and AAC audio files,Split large files to multi-volumes according to the mode and size you set. Preview video and monitor the converting process. Can process DVD, IFO, and MPG/VOB files. Provide luminance filter and deinterlace filter. Provide the capability for you to set the resolution of the output video and many other advanced options. Easy-to-use user interface.